Three-dimensional, 12-Pointed Stars: This nine (9) inch star was created in my studio in the Tiffany copper-foil method, would look gorgeous raining down in a cluster, hung from a bedroom ceiling, or hung individually in a window. These are a special gift for the “shining star” in your life. Each star comes with its own gift tag. 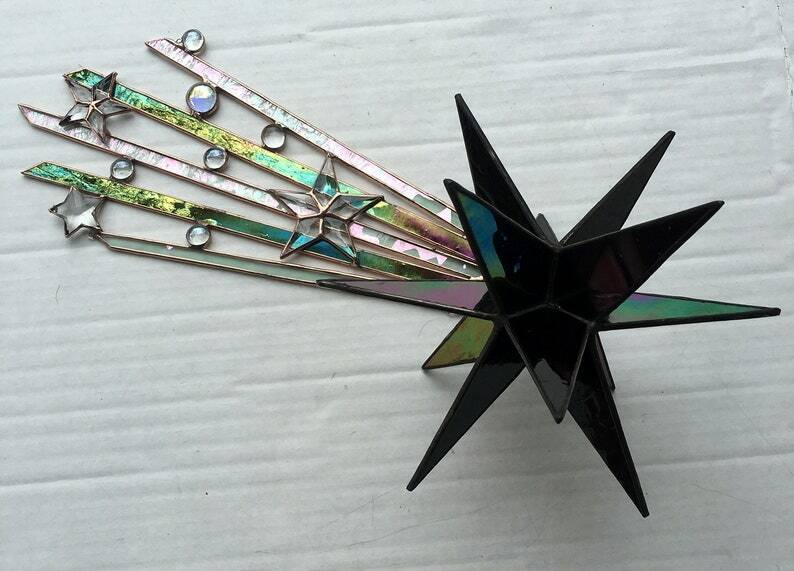 The star and tail are two separate pieces. The tail measures 12.5 in length and is 6-inches wide. 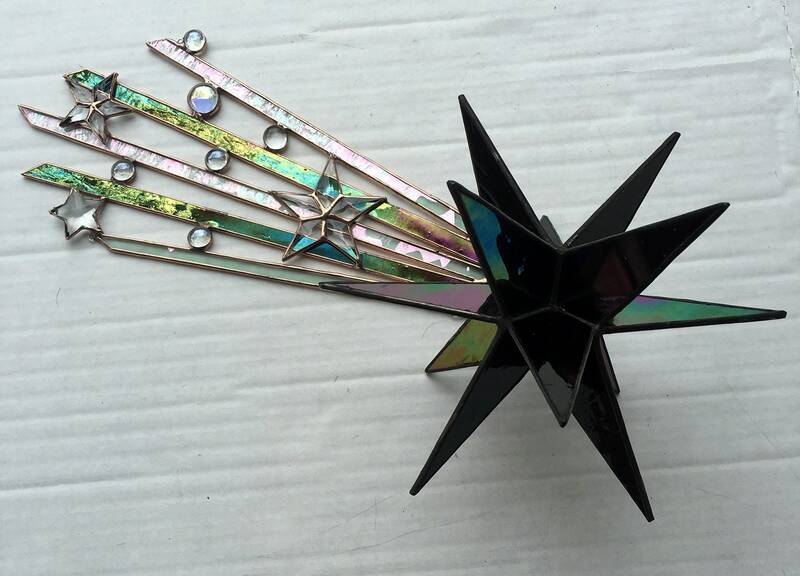 It is constructed with black and clear iridescent glass, 2 beveled stars and a crystal star. There are 6 clear nuggets also. 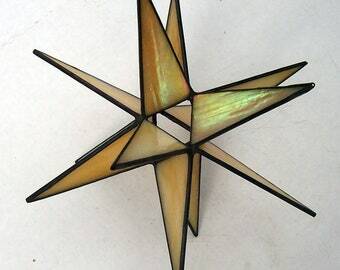 It has a copper finish to to reflect the beams of a falling star. It is made to hang from either the right or left of the star. Make a wish! Throughout history it is said that when you look up at the night sky and you see a shooting a star, you have to close your eyes and make a wish. A shooting star means that you have a chance to make all your dreams come true. A shooting star is a symbol of magic, dreams and wishes, the star symbolizes hope – hope that your wishes will come true and you will live your fantasy. When I think of a shooting star, I think of Heaven, spirituality, God. I think of the people that have come and gone and the love and light they left behind. Sometimes, I think a shooting star may just be their way of saying: “I’m still here, I’m thinking of you, I love you and am waiting up here for you”. "I wonder," he said, "whether the stars are set alight in heaven so that one day each one of us may find his own again." surface resembles oil on water.